Chapter 13 Bankruptcy Archives | Florida Law Advisers, P.A. Likely based on the legal tradition that represented parties cannot be contacted directly by the opposing party, bankruptcy law ensures that only a judge, or The Court, can lift the automatic stay. Thus, the entire time a legitimate bankruptcy proceeding is going on, your debtors can no longer call your phone, send you bills or notices, or otherwise contact you regarding your outstanding debt. Further, the automatic stay should remain in effect throughout the case. Only if a creditor obtains relief from the stay by a judge can collection actions resume. The benefit of the automatic stay is what entices many consumers to file for bankruptcy. For instance, if your home is scheduled for a foreclosure sale the bankruptcy automatic stay will cancel the sale. Additionally, the bankruptcy automatic stay can put an immediate end to bank and wage garnishments. However, filing for bankruptcy is an important decision and one that should not be undertaken without consulting an attorney. You’ll need to determine which chapter of the bankruptcy code is appropriate for you. 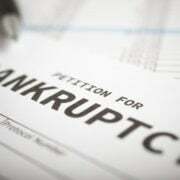 Additionally, you should consider whether filing for bankruptcy will put any of your assets at risk. At Florida Law Advisers, P.A., we understand how important the bankruptcy automatic stay is and can help you. We work hard to make the process as easy as possible for our clients. When you hire Florida Law Advisers, P.A., you have an experienced bankruptcy lawyer by your side throughout every phase of the bankruptcy process. We will help ensure your rights are protected and help you receive the utmost relief bankruptcy can offer. To schedule a free consultation with a Tampa bankruptcy lawyer at our firm call, email, or fill out an online inquiry on our website today. In bankruptcy, debts will be treated differently based on their classification. Child support and alimony in bankruptcy receive nearly the greatest level of protection under Florida’s bankruptcy laws. Although child support is considered “unsecured debt,” which is typically dischargeable, the Bankruptcy Code provides special treatment for this domestic obligation. See bankruptcy law 11 U.S.C. § 507(a). However, there may still be options to reduce the amount of child support. To find out more about your case contact an attorney in your area. A Tampa bankruptcy attorney can help describe some of the options that may be available to reduce your amount of child support. Child support and alimony will the first of the unsecured claims to be paid among all your other unsecured creditors. Keep in mind that child support and alimony obligations cannot be discharged through either Chapter 7 or 13 bankruptcy. See bankruptcy laws 11 U.S.C. § 727 & 1328. You will be required to continue payments to your former spouse during your bankruptcy case, and after your discharge. If you are an individual who receives child support and/or alimony, you will be able to protect that income with the “support” federal exemption afforded to you by the Bankruptcy law. See 11 U.S.C. § 522. The entire amount that you receive from your former spouse will be protected, meaning that the trustee cannot take that income away from you. 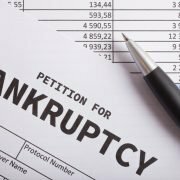 For information about a specific case or set of circumstances you should contact a bankruptcy law firm in Tampa to schedule a consultation with a bankruptcy lawyer. Child support and alimony will also receive protection under the “automatic stay” that takes place once you file bankruptcy. This takes effect immediately in order to preserve the property of the estate. See bankruptcy law 11 U.S.C. § 362. However, if you have a judicial lien against you for failure to pay your child support or alimony obligations prior to you filing bankruptcy, the automatic stay will not apply to that judicial lien and you will be responsible to pay that lien amount. Again, this lien amount will not be discharged in either Chapter 7 or 13. For more information on discharge of debts in bankruptcy click here. Additionally, if you are behind on your child support and/or alimony obligations, filing Chapter 13 may help. In fact, you would be required to pay any outstanding child support or alimony payments in full through the life of your Chapter 13 repayment plan in order to receive discharge. The benefit of having your child support/alimony obligations paid through your Chapter 13 plan is that it could potentially reduce the amount that you would have to pay back to other unsecured creditors and increase the amount of credit card or medical debt that would be discharged at the end of your Chapter 13 plan. Bankruptcy law can be very confusing and intimidating. 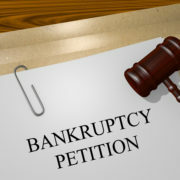 If you are considering seeking bankruptcy protection you should contact a bankruptcy law firm in Tampa for legal advice. The bankruptcy attorneys at our firm have years of experience helping people obtain a fresh start. We have many options available that can help you successfully manage your debt and regain your financial health. Regardless, if you need help with Chapter 13 or Chapter 7 we provide competent legal advice you can trust. To see which options may be available, contact us to today to schedule a free, consultation.